On Thursday, September 17th a group of pioneers in the Belizean community were honored as part of the September Celebrations Tribute to the Belizean Patriots Ceremony. Each year a number of Belizeans are bestowed honors for their work towards the betterment and development of the country. 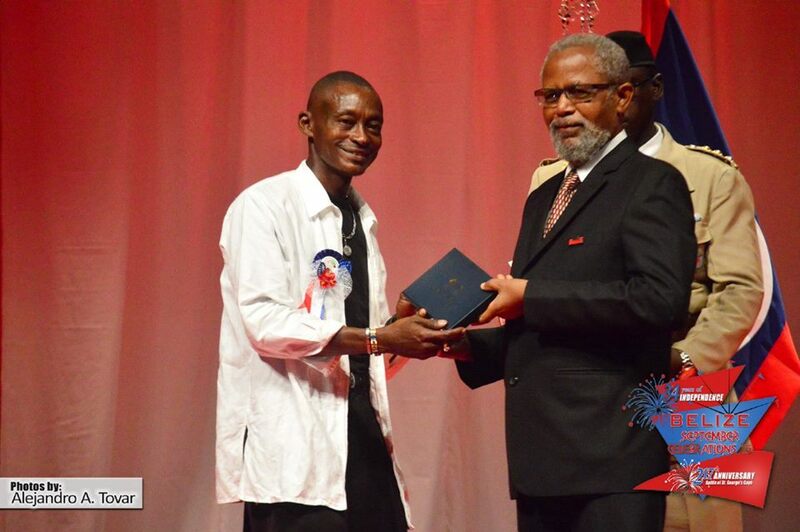 Held at the Bliss Center for Performing Arts in Belize City, the awards are presented by Governor General of Belize Sir Colville Young. Among the 21 recipients for this year’s award ceremonies was none other than former dance instructor for the San Pedro Dance Academy, Rosa Rosita Baltazar. Two awards were issued at the event: the Meritorious Service Award and the Order of Distinction. Both awards service to recognized outstanding citizens who have provided their services in different fields towards Belize and its people. The event is part of the National Honors and Awards Act passed on August 16th, 1991. 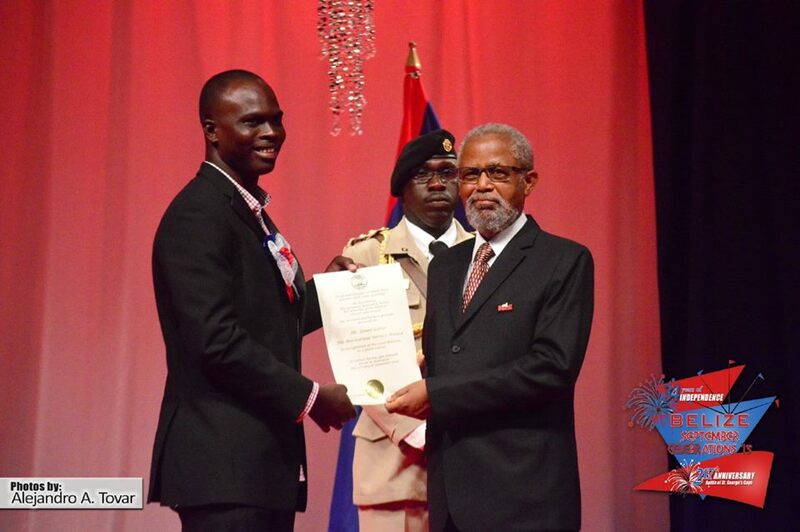 19 persons received the Meritorious Service Award, while only two received the Order of Distinction. The 19 Belizeans who received the Meritorious Service Awards included teachers, politicians, athletes, entertainers, healthcare practitioners and even community activities. Baltazar was honored posthumously for her contributions to the performing arts, particularly in dance. Receiving the award on her behalf was he son Gary Baltazar. Baltazar passed away from cancer on Tuesday, July 7th. She not only left a legacy in San Pedro, but also across the country. Also receiving the Meritorious Service Awards was Jamal Galves, a pioneer in the protection of West Indian Manatee. Recipient of the 2014 Ocean Hero Award, Galves has dedicated his life to the conservation of the manatees since the age of 11. The other honorees for the Meritorious Service Awards were Daphne Sheran, Sistie Fairweather Harmes and Ivan Duran for their contribution in arts; Doreth Martinez, Kenneth “Powder” Sutherland, Milton Burgess and Gerald Henry for their contribution in sports; Marian Casey, Guadalupe Ack and Isabel Palma (deceased) for their contribution in healthcare; Silvaana Udz, Roy Cayetano and Basil Coleman for their contribution in education; Elvira Duarte, Badra Coleman and Patrick Scott Sr. for their contribution in the community; and Carlton “Jack” Young for his contribution in the fishing industry. Receiving the second highest honors in Belize were the late Senior Counsel Gian Chand Ghandi and Emma Boiton, who were both awarded with the Order of Distinction. Ghandi was honored posthumously for his contribution to the Belize Judicial system and service to the Government of Belize. Boiton was honored for her patriotism and contribution to Belize’s democracy. She was the coordinator of the Queen of the Bay Pageant, emphasizing the need of educating Belizean women in order to build up the nation. At the end of the award session, a reception was held for those in attendance. The San Pedro Sun congratulates all the recipients of this year’s Tribute to the Belizean Patriots Ceremony. We encourage all Belizeans to follow in the footsteps of the awardees and to do their part in building Belize as a vibrant nation!